Today I wanted to tell you about a big university event that happens across England between two rival universities… Varsity matches! Yesterday was entirely dedicated to the different sporting teams going head to head with our rival university, Royal Holloway. 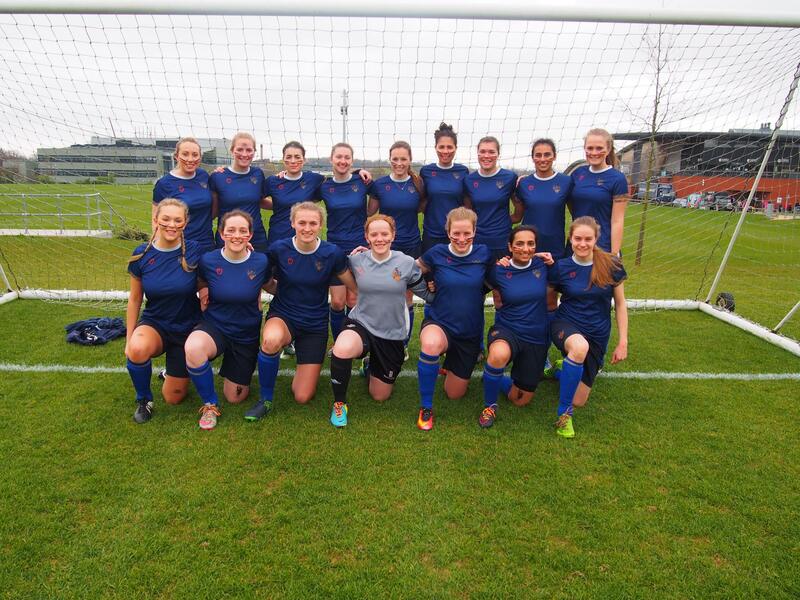 The women’s football team were one of the firsts to play and we ended up defeating our opponents 9-1. We were then able to go cheer on other teams that were playing across the Sports Park and enjoy food and drinks at the Bench Bar. The big match of the day is the basketball game. Unfortunately I was not able to go but I hear it’s a great event that rallies the school together to cheer on their student athletes. As a university, we came out champions once more which makes us Varsity winners 6 years in a row! The day ends with a night out at the University’s bar where all the athletes and fans can celebrate together and dance the night away. It was really great fun and was a wonderful atmosphere to be around. Even if you don’t play on a team it is a good time to go cheer on your university and partake in the festivities.